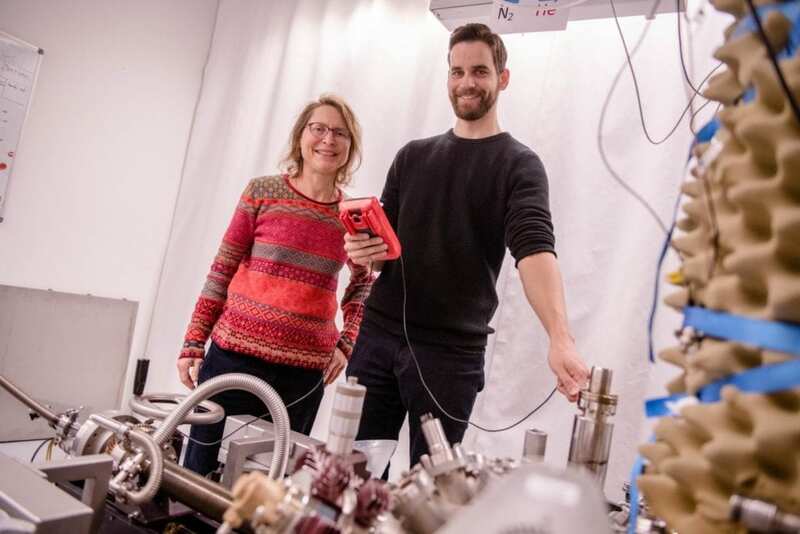 How a molecule from a solid crystal structure is solvated in a liquid solvent has been observed at a molecular level for the first time by chemists at Ruhr-Universität Bochum. The process is too fast to decipher at room temperature. The team from the Ruhr Explores Solvation (Resolv) Cluster of Excellence thus used microscopic methods that work at particularly low temperatures. The group led by Dr. Karsten Lucht and Professor Karina Morgenstern from the Department of Physical Chemistry I describes the relevant steps in the solvation process in the journal Angewandte Chemie on 11 October 2018. “Understanding the solvation process is of fundamental importance for chemistry, since the knowledge could help to influence the interaction between solvents and solvated molecules in a targeted way and thus to control chemical reactions even more comprehensively,” explains Karsten Lucht. For the study, the chemists analysed crystals of an organic molecule using low-temperature scanning tunnelling microscopy, which operates at minus 265 degrees Celsius. At this temperature, molecular movements come to a standstill, allowing the individual molecules to be imaged. The researchers fixed the organic molecules onto a special silver surface. The functional groups of the molecules then formed chains. “This structure corresponds to a one-dimensional crystal,” explains Lucht. The scientists then added a small amount of water, which attached itself to the organic molecules at defined positions. Finally, they heated the system to minus 193 degrees Celsius, whereby the crystal structure was completely lost. “The loss of the molecular order corresponds to the solvation of the organic crystal in a real solution,” describes Karina Morgenstern. The individual organic molecules only interact with the water molecules and can therefore be regarded as solvated. “We were thus able to observe the relevant steps of the solvation process on individual molecules for the first time, i.e. the dry crystal, the attachment of the solvent to it and its complete solvation,” the researcher summarises.